In its first 12 months, 123 people have benefitted from our Living Well at Home service which helps people to remain independent, achieve their goals and improve their lives. The service is led by the Rehabilitation Team but relies on the time and skills of volunteers to support patients in their own homes. 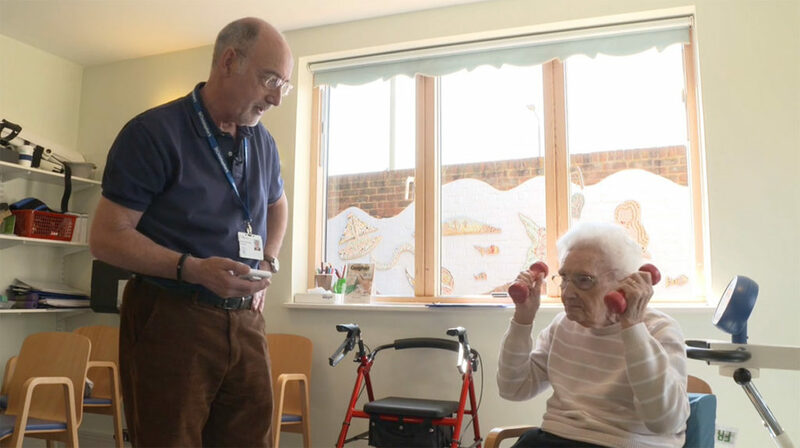 The team work closely with each individual to develop an activity programme which helps them achieve what’s most important to them – whether that’s being able to walk again, get to the supermarket or climb the stairs. 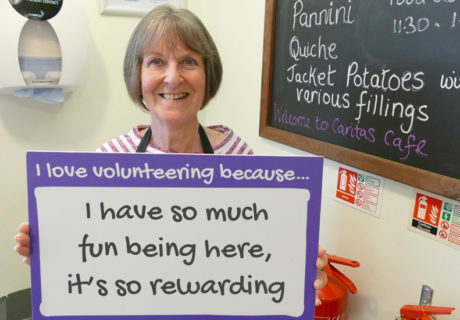 We met volunteer, Barry and patient, Gladys, to find out about the service and why it’s so important. 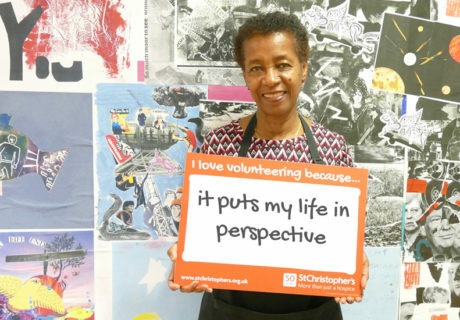 Gladys says, “Before I met Barry and the St Christopher’s team I thought I had to give up. It was a dull world because I was just existing and I didn’t want to just exist. Now, I’m able to walk with a walker and get in and out of the car so I can visit the hospice gym and enjoy lunch with others. At Christmas I really wanted to get to the hairdressers and, with Barry’s help, I managed to – we even had fish and chips to celebrate!